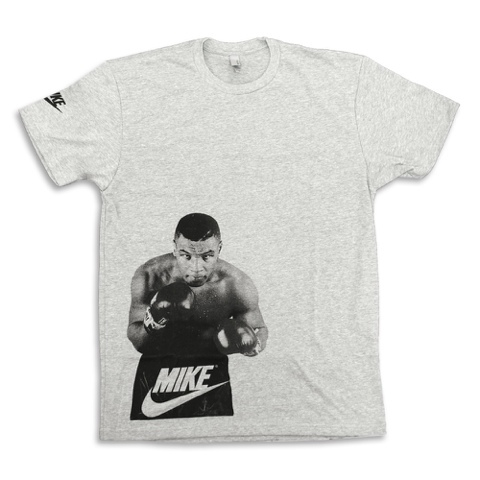 Mr Bru Cru: "Mike" Tee. I love sports. I love clothes. So it's no wonder when I see something like this it get hyped. The homie "Bear" aka Manny has finally brought this to life. He showed me a preview of this months ago. So long ago actually that I had forgotten about this idea. Talk about being clever. 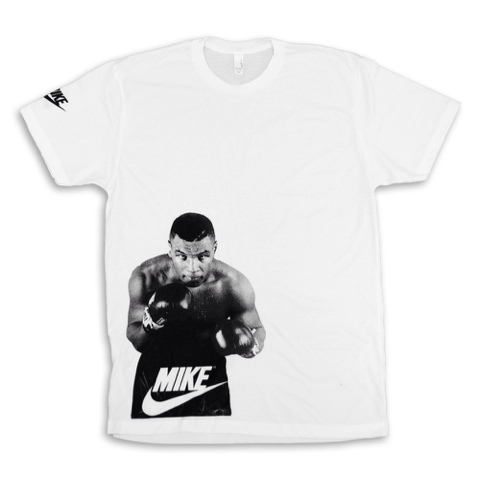 Mike Tyson, one of the best boxers to ever enter a boxing ring. Nike, one of the biggest brands ever. Put them together (even if it's without permission) and you get this awesome tee. If you want to purchase a shirt please don't hesitate. Log on to www.TysonJordan.bigcartel.com and get you a few.